A quick post to share my entry in this months inspiration challenge over at Viva Las VegaStamps! AND my postcards for the April swap (Pass the Postcard) hosted by the same. And our theme for the swap is steampunk. 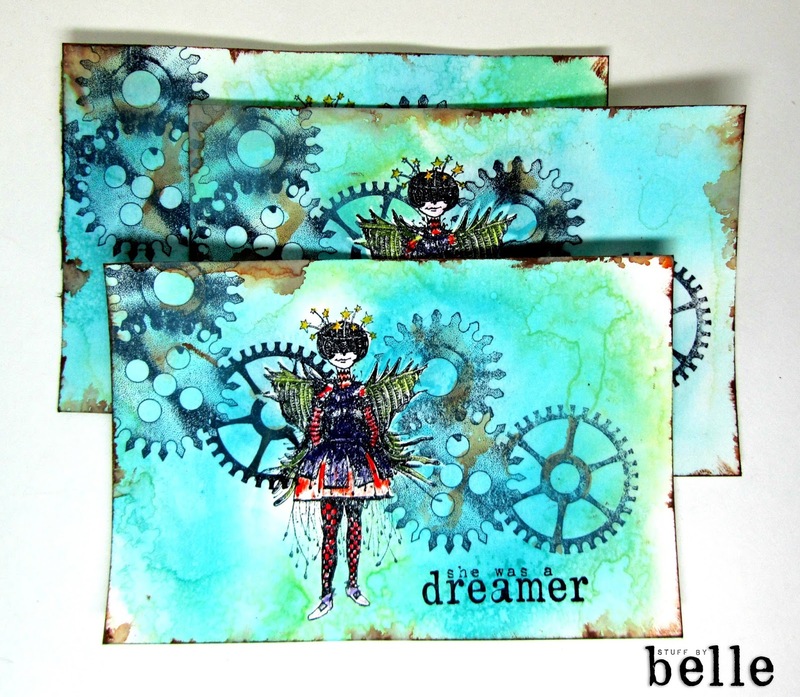 I used Whimsical Fairy Lady, Nesting Gears and She Was a Dreamer. You still have time for the April inspiration challenge. Hope you join us! !